I have decided that for my seasonal review/preview blog it is too long to do both. So I am going to split it up into two articles, one for the review of the previous season, and one for the preview of the new season. Though I am not sure I am going to do one for Summer; the Summer Season is kind of meh, there are no shows that really catch my eye. We will see. Okay this series is still continuing into the Summer Season, but the Spring Season covered one arc, so I will give you my thoughts on this arc, the Sports Festival Arc. Well I enjoyed it. I know some people will complain there was no hero vs. villain conflict, but it is a nice change of pace. The big surprise was the tournament had a conclusion; normally in these types of series the tournament is interrupted by villains or some emergency, and we never get a winner. And if we have a conclusion the main character always makes it to the finals at least, but here the main character Deku didn’t make that far, which was a nice surprise. The highlight no doubt besides the character of Mei who I love, she is hilarious and adorable, was the Shoto story line with his family. I don’t want to go into detail (it is so good I can’t spoil it), but it was well written and made Shoto a more interesting character. You need to see if for yourself, so check it out. So overall the sport festival arc was a very entertaining unpredictable arc and I recommend you all check it out. This was a show I wasn’t sure what to expect. It being about someone who writes manga was an interesting hook, and it had a brother/sister romance, which I am not comfortable with, but they are step-siblings, so it’s okay I guess? But the star of the series is the neighbor/manga writer rival Elf-sensi. She is my favorite character on the show, and the main character should have ended up with her, which is a surprise as she did not leave a good first impression on me. But when we got to know her in episode 2 and 3, she quickly rose up to being my favorite. Is this a show I recommend.. it depends if you just want a good laugh, and can get past the brother/sister romantic tension, then you might like it. But just be aware of what you are getting into. Well this is in my opinion the anime of the Spring Season, outside of Little Witch Academia of course. It is a weird series, part slice-of-life, part sci-fi, part adventure, part little orphan story… it’s out there. Imagine Annie or Heidi or Punky Brewster having super powers, and dealing with an evil organization trying to capture them. This series, which is only 12 episodes, has two whole arcs, and they have no connection to each other. The first arc is our heroine Sana trying to escape from this secret government organization, where she meets a gruffy old man named Zoroku who she ends being adapted by and she has to deal with this organization out to hunt her. Sounds like a story that could take a long time to resolve, but it is resolved in 5 episodes. Then we get 2 stand along episodes; the second one does reintroduce two characters from the first arc that I really liked, twin girls who to no one’s surprise I love (one of my favorite characters of all time are the Oracle Twins from American Dragon: Jake Long so I know what I like). Then in episode 8 we begin a new arc with some new characters, which is also resolved in 5 episodes. The pacing is fast and if you don’t mind that then I think you will enjoy it. 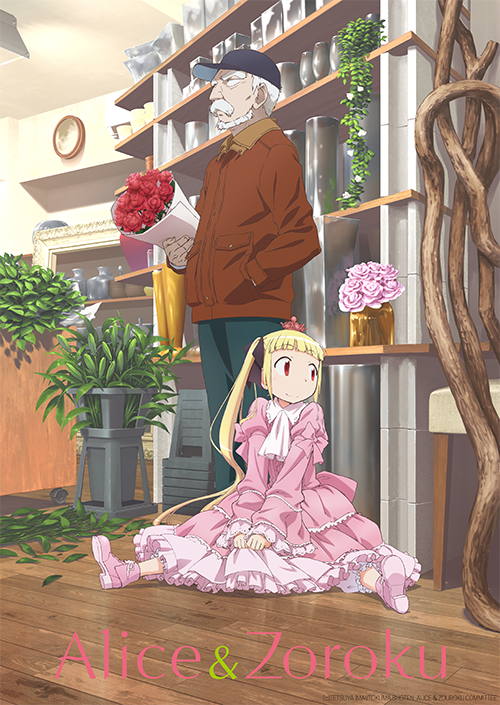 In between these adventures you get some good slice-of-life stuff of Sana bonding with Zoroku and Zoroku’s granddaughter, and everyone around her, which is very sweet. And I just adore Zoroku’s granddaughter Sanae; she is so nice and someone who has more to her than meets the eye. The very last scene is very emotional and got me to tear up a bit. I don’t want to give anymore away, but check this series out. 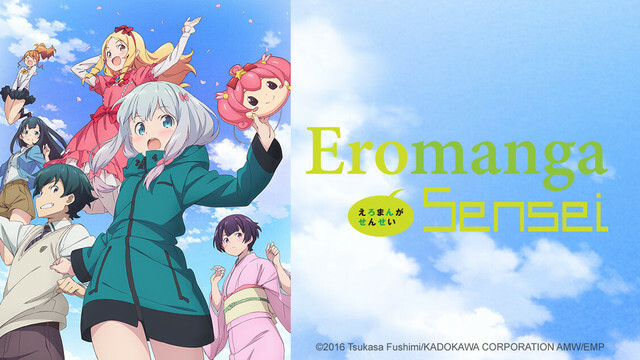 All the series I mention above are available on Crunchyroll, the English version is available on Funimation’s website, except for Eromanga Sensei which was not dubbed for obvious reasons. 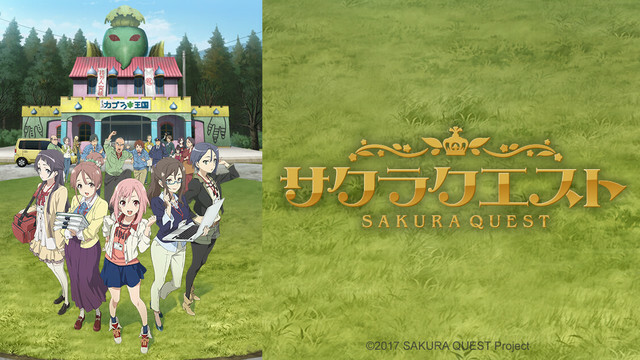 And I do want to mention Sakura Quest, another show you should check out, but it is still ongoing, so I will give my full review in the Summer Recap. 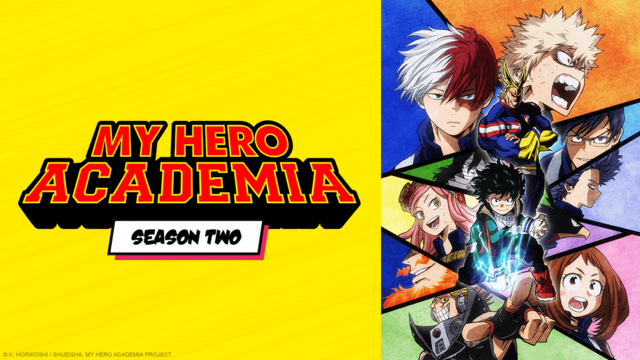 The series is also available on Crunchyroll and the English dub on the Funimation website. I hope this article was helpful and informative. Have a nice day.